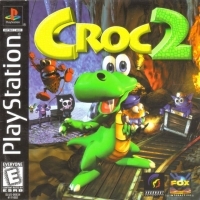 Description: A platformer in which you play as Croc as you explore different worlds. 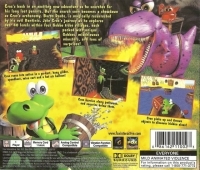 Box Text: Croc's back in an exciting new adventure as he searches for his long lost parents. But the search soon becomes a showdown as Croc's archenemy, Baron Dante, is magically resurrected by his evil Dantinis. Join Croc's journey as he explores over 40 levels within four Gobbo tribe villages, each packed with unique Gobbos, mischievous monsters, and tons of surprises! 12-11-2011 empovyle Description A platformer in which you play as Croc as you explore different worlds. 12-11-2011 empovyle Box Text Croc's back in an exciting new adventure as he searches for his long lost parents. But the search soon becomes a showdown as Croc's archenemy, Baron Dante, is magically resurrected by his evil Dantinis. Join Croc's journey as he explores over 40 levels within four Gobbo tribe villages, each packed with unique Gobbos, mischievous monsters, and tons of surprises! 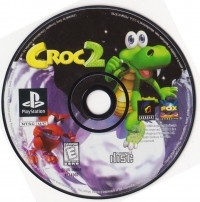 This is a list of VGCollect users who have Croc 2 in their Collection. This is a list of VGCollect users who have Croc 2 in their Sell List. This is a list of VGCollect users who have Croc 2 in their Wish List.